Raymond, NH, Hannaford Helps Fight Breast Cancer in December! Thanks to Hannaford Supermarkets, supporting New Hampshire breast cancer patients struggling with the financial fallout of breast cancer is easy! 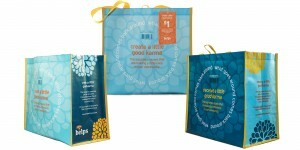 Hannaford Helps Reusable Bag sales was designed to create revenue streams for deserving local nonprofits like the New Hampshire Breast Cancer Coalition. Thanks, Hannaford and shoppers, for all your support! Your generosity makes life easier for New Hampshire breast cancer patients struggling to keep up with daily expenses. Thanks!